What exactly are ‘high ‘participation’ unions? McAlevey’s argument is that unions need to rediscover the ‘Whole Worker’ or deep organizing methods of the pre-1945 period if they are to survive the neo-liberal era. That is, unions need to be built out of a constant struggle by ordinary members against their employers, and by building unity with other workers in their sector and with their community. Only class struggle unionism, based on ‘low exit’ workers as in the education and health sectors, offers a way out of the decline of organized labour in America. This is a critical argument for a union movement that has declined from 35% of the workforce in the 1950s to 10% today, where less than 7% of the private workforce remains organized. Not since 1932 has American labour been in such a precarious situation. The situation promises only to get worse. Public sector unionism is at 35.7% of the workforce. But American public workers are under siege. Republican governors in Michigan and Wisconsin have successfully introduced Right To Work laws that undermine job and union security, and Illinois and Indiana threaten to follow. The Right to Work South threatens to become a national reality. McAlevey argues this decline in worker rights and standard of living stems from two sources: America’s global leadership role, which justifies elite attacks and state erosion or repression of workers’ rights, today described as neo-liberalism; and from the self defeating behaviour of unions themselves in adapting to this order – in moving from membership oriented organizations who fought the employer at the point of production to bureaucracies who substitute the courts and deals with elites to preserve their immediate interests. The result has been a decline in the living standards of the waged majority since the 1970s, matched by an extreme redistribution of wealth to the top 20% of American society (especially the top 1%), something not seen since the Gilded Age of late nineteenth century America. Such an imbalance of power threatens to deny the majority not just social justice (such as health care), but even the hope of market economic opportunity. Decline for the working majority has been facilitated by the development of a self-blame culture where a significant minority of American workers politically support the suppression of their own interests. McAlevey argues that this social pathology can be addressed by rebuilding worker organization, but not by lobbyism. Lobbyism has been the dominant form of union activity since the 1950s. The author describes two forms: Advocacy, the old fashioned variety of elite dealing, often through the Democratic Party by the AFL-CIO, or Mobilization (the social unionism of the breakaway Change To Win labour federation), based on staff run ‘corporate campaigns’ with token popular participation as a form of active shaming. Neither strategy has reversed union decline and, McAlevey argues, both may have intensified failure. 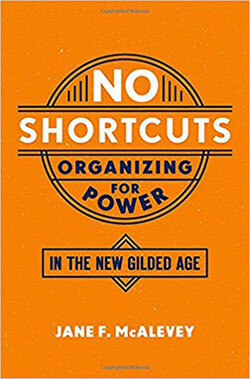 In her book, No Shortcuts, McAlevey examines four major cases of worker struggle in post 2000 America that have succeeded with Deep Organizing methods: contrasting SEIU nursing home workers between Connecticut (Local 1199) and Washington (Local 775); the Chicago Teachers’ strike in 2012; the successful organization of the world largest pork plant in Smithfield, North Carolina; and a worker advocacy organization Make the Road, New York. In the case of nursing home workers, McAlevey contrasts how class struggle unionism by Local 1199 (with over 60 strikes) has managed to create the highest compensation – and workplace rights – in the nation, while the SEIU in Washington struck a political deal with Democratic legislators that facilitated organization, but not substantial gains, based on a legislative system open to a Republican counter-offensive. The Chicago Teacher’s Strike is now famous for having successfully defeated Democratic Mayor Rahm Emmanuel (Obama’s Chief of Staff) from destroying public education standards and tenure. The Chicago Teachers' Union (CTU) model was the BC Teachers’ Federation's illegal strike in 2005. CTU fostered strong workplace organization with open outreach to parents and community organizers, having taken political inspiration from Naomi Klein’s The Shock Doctrine in fostering a reform caucus elected to leadership in 2010. In the nine days of the strike every day began with a local picket line, followed by a mass march and rally in downtown Chicago, which included supporters, of tens of thousands. Preparation, in ideas as to the value of public education to a majority black student population and in organization, within and without the workplace, was key. In fact, high participation led to a supermajority for a strike (over 90%), open negotiations, where members could observe the process, and a two day picket line discussion about whether to authorize the negotiating team to sign a tentative agreement. Still, as McAlevey notes, while the strike was a defensive success and rebuilt a union that was moribund in a relatively short period of time, Emmanuel has returned to the attack with school closures. Here McAlevey makes a very important argument in terms of American debates about social activism – how far can the Saul Alinsky model of local community direct action (through the famous manual Rules For Radicals) carry a community in the face of a generalized attack across neighbourhoods – and act as a substitute for worker organization? In the author’s opinion, the geographical sectionalism and top down leadership styles of Alinsky’s model may work for a campaign, but not for sustained organization, especially in the face of a broad attack. In fact, it has been a shortcoming of unions not to offer generalized leadership to connect communities based on workplace power (with the CTU not yet having grasped this, though some ran as independents in municipal elections). In Smithfield, North Carolina there is the world’s largest pork packing plant. When it opened in 1993 some 5000 workers faced a relentless and dangerous pace of work that led to an average 100% turnover each year of the workforce. In 1994 local workers held an organizing drive that met the 30% card check off criteria for a National Labour Relations Board (NLRB) union certification vote. Using company security and the local sheriff’s office, Smithfield managed to physically prevent the majority from voting. Smithfield’s intimidation was so blatant that the NLRB ordered new votes in 1997 and 2008. On the third try a slim majority voted for union certification as a member of the United Food and Commercial Workers. As McAlevey documents, the key to a majority was intensive organization inside the plant to turn the racially divisive politics of the employer, pitting whites, blacks, Latinos and native people against each other, into sources of inter ethnic and racial solidarity. Latino workers in particular were important. They repeatedly wildcatted (i.e. struck illegally) as the employer brought immigration agents into the plant to arrest those who might be illegal. At one point, 2000 Latino workers were fired. Yet the workers persisted with the aid of an organizing team from Change To Win, who also reached out to North Carolina community organizations, especially liberal churches, to build political pressure on the state (and thus on Smithfield) to finally allow a democratic election in December 2008. The length, severity, and resolve of this struggle has left a lasting legacy as the Poultry processing plant in the community has also been organized (some 1000 workers) and as Smithfield workers act as a progressive force in rural and North Carolinian politics. Voluntary dues payments average 80%. Finally, McAlevey looks at another progressive source of deep organizing; worker advocacy centres like Make the Road (the country’s most successful). Make the Road is a Latino self help organization that made a transition over time to also becoming an effective advocate for labour legislation, such as Fair Wages since many employers fail to pay Latino workers in marginal jobs, and even union organization as in Car Washers. Make the Road is a unique social movement organization in emphasizing deep organizing methods. To become a member you must pay an initiation fee ($120) and then annual dues of $20. Membership allows you to attend the weekly meeting and to vote. Weekly meetings are structured around a form of improvised political education based on discussion of a ‘prompt’ or statement (set by the unelected coordinators) and include a diverse set of program (specific issue) committees and their propaganda/agitation activities, and concludes with a shared meal (that members cook up on a rota basis). Make the Road has managed some impressive political gains with the New York City administration, and even the state in regards to fair wage laws. But it has its contradictions in its mix of democracy and self-appointed staff leadership. For McAlevey the real issue is can this model be generalized outside of a strong union and pro-immigrant setting like New York City? In her opinion, there are limits to worker centers as substitutes for the potential economic power of unions. Pretend Power or Real Power? McAlevey makes a powerful argument for a return to the more comprehensive, and difficult, methods of building deep worker organization – from serious preparations like a power structure analysis (to map out your issues, your opponent and your own potential strengths to realistically strategize); to building a network of ‘organic’ leaders in the workplace and to striking the right balance between professional union staff as coaches to this network; to building community support (including a non-sectarian approach to religious groups); to an open and inclusive process in negotiations and administration. McAlevey also raises some challenging issues for activists who may want to act on this model. * There is no substitute for membership involvement in hard circumstances. You have to build real power, not pretend power when employers and the state are so hostile. *Difficult issues will arise and there will be intense employer/state pressure. One has to be honest with members and argue out divisive questions and possible consequences. But one also has to push for organized struggle, to draw an organizational conclusion from experience, ideas and self-interest. * While all members are equal, class society is an uneven place where leadership is a reality. To be successful, organizers have to identify and develop the organic leaders (not just self identified activists) to have a large-scale impact in moving people to take risks. Horizontalism (or anarchist communitarianism) like that of the Occupy Movement can be just as self-defeating as the top down lobbyism of union bureaucracies. * Consolidate your gains and your leadership. You have to formalize gains through the grievance/arbitration/collective agreement process (something McAlevey admits she failed to do with her emphasis on informal direct actions by rank and file members, which contributed to the loss of her elected position in the SEIU) and to defend organizers against union machine pressures to give up (as when the UFCW tried to demobilize the Smithfield organizing team when the employer sued the union as a criminal conspiracy, where individuals could be held personally liable – just as in the 1800s!). * We need to be intellectually honest as to where deep organizing comes from. It comes from the American socialist tradition, from the Socialist Party of America, the Communist Party and the Trotskyist Socialist Workers Party, as McAlevey occasionally acknowledges. It takes a deep political analysis and commitment, as well as desperate circumstances, to build real power. Deep organizing demands serious engagement and it will come with conflict and sacrifice. But, in American circumstances, deep organizing, with its challenges, is desperately needed. Otherwise, immiseration and demoralization will triumph. Given America’s global importance, the organizational decline of American workers will have negative consequences for all of us if deep organizing is not embraced. 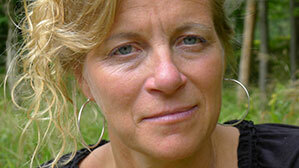 How does McAlevey’s argument relate to us? First, we must appreciate that despite the much higher level of unionization in Canada (about 28%) and a stronger social contract between the state and Canadian society with programs like public health care, we are not immune to the pressures of a neo-liberal agenda. Sixteen years of BC Liberalism, a decade of federal conservatism, Trump demands for more defence spending and renegotiating NAFTA has seen tremendous pressure on public goods spending (such as for post-secondary education to be more market oriented in ways that can affect quality). Nor are Canadian workers immune to immiseration and demoralization. The majority of Canadian workers are not organized and the union movement doesn’t positively affect the majority of the labour market as it used to. There are pools of misery that demand deep organizing now, like Temporary Foreign workers. And there are examples like Solidarity Halifax where the deep methods of Make The Road can be used to build worker oriented community activism. However, objective circumstances are sufficiently different for now that the official labour movement is still deeply wedded to post 1945 forms of conservative or liberal lobbyism (see the election of a new CLC President, Hassan Yussuff over Ken Georgetti), especially with a viable social democratic tradition with occasional NDP provincial governments and the possibility of becoming one of the two major national parties. Still, there is much to reflect on – and use creatively – in McAlevey’s call for deep organizing. We can always build stronger worker organization that has the potential to not just win better rewards but also alter the structure of power itself.